I wonder what was erased from the bottom of this sign. 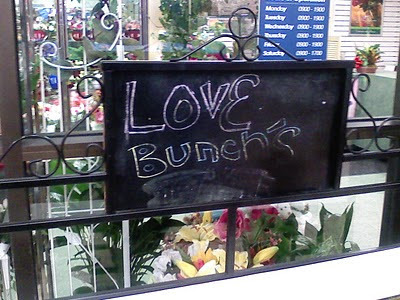 Maybe "Love Bunch" is the name of a '70s cover band, and someone erased "badass," which would have completed the phrase. Otherwise, this is an apostrophe catastrophe. Thanks to Smoochiefrog for submitting this catastrophe.